Real Estate has historically been behind on the technology curve compared to most industries. Very few real estate brokers take advantage of technology to make the buying or selling of a home easier. Elevate Group is one of those brokers that leverage technology for the benefit of their clients. Today, we will cover the use of electronic lockboxes. For almost 100 years, when a home is listed for sale, the listing agent was required to be available to “show” that home to any potential buyer. 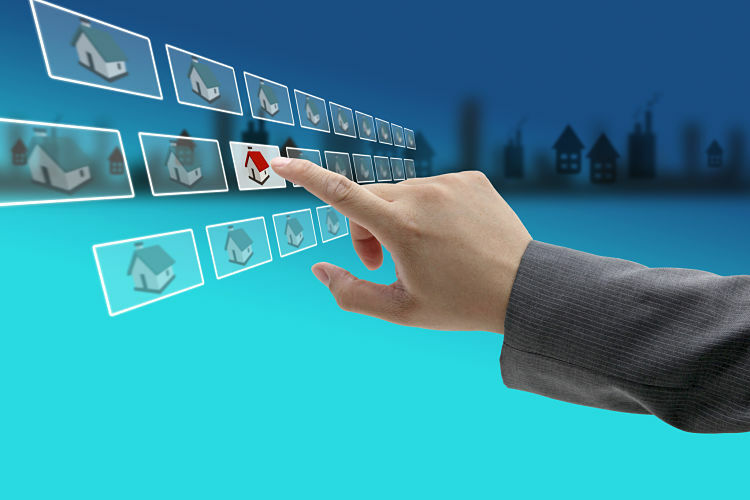 Recently, more advanced real estate brokers have streamlined that process to make accessing the home for sale easier. Electronic Lockboxes have come into use for that exact purpose. Now, if someone wants to view a home that is for sale, they can use their real estate agent of choice to access the home at their convenience. Although at first glance, this may appear to not be “secure”, but the use of electronic lockboxes has proven to be not only convenient but an extremely safe way to get homes sold. The challenge with the way real estate homes for sale were shown before the use of lockboxes required that the listing agent either be available for the showing or in some instances they would leave a key for the showing agent to pick up. The challenge with that process is when you list a home; you want to make your home extremely “easy to show”. Any successful real estate agent has to leverage their time and can’t be everywhere on a moment’s notice. It’s important that if a potential buyer wants to see a home, they can view that home regardless of the availability of the listing agent. If a potential buyer has taken off work to see homes and they want to see you house, with the use of a lockbox they can see it. The simple answer to that is YES! The technology behind electronic lockboxes makes their use not only efficient, but very safe for the homeowner. The only people that have the ability to open a lockbox are real estate agents who are a part of the local MLS and pay for that privilege. A listing agent can be immediately notified (usually by email) anytime a lockbox on one of their listings is opened. As an added level of security, the listing agent can utilize a CBS code – which stands for a Call Before Showing Code. A CBS code simply means that any licensed REALTOR that is attempting to open a lockbox must call the listing agent FIRST to receive the code. This makes it impossible to access a listed home without the knowledge of the listing agent. Lockboxes, such as the Supra Lockboxes utilized by Elevate Realty Group are hardly built and attach to either the door knob or another secured area on the home being listed for sale. Within that lockbox holds the key to get into the home. To access that key, the agent with the potential buyer must have the correct software installed on their smartphone. There are stand-alone access options, but the smartphone has become the most popular method. The software on the phone is updated daily to insure that they are a member of the MLS and in good standing. To open the lockbox and access the key to the home, they must enter their personal Key ID and potentially the CBS code. Upon entering the code, their smartphone connects to the electronic lockbox via Bluetooth, verifies everything and then pops open. At that time, the listing agent is emailed that their box has been opened and the showing is logged. So in addition to the convenience of the lockbox, you get a list, updated in real time, of every real estate agent and all of their contact information that has shown the home. How Do Lockboxes Get My Home Sold? Needless to say, if you are selling your home, you want to utilize any new technology to assist in getting your home sold FAST and for the highest fair market value. Let’s take a quick look behind the scenes of the appointment process with and without an electronic lockbox. A potential home buyer and their real estate agent choose some homes to see. They then call the listing agent to attempt to set an appointment for showing your home. In most instances, they must leave that agent a voicemail. At some point, the listing agent returns the phone call to see if the time the buyer wants to see the home is mutually convenient for not only the home buyer and their agent, but the homeowner and the listing agent. That generally starts the back and forth phone calls of coordinating the showing times. If the listing agent is in a closing or showing a home themselves, your home can not be shown until they can meet the other party at the house. A homebuyer and their agent choose homes to see. The agent sees that the home is on Lockbox and there is a CBS code needed. They can simply call or text the agent and say “I have a buyer that wants to see your listed home at 3:00”. The listing agent then confirms with their seller and gives the other agent the CBS code. Upon them opening the lockbox they receive an email with all pertinent information. You can see how the second process lets your home be seen more often and at the convenience of the potential buyers. If you are selling your home, it’s important to remember that you want EVERY potential homebuyer to see it. Don’t lose a potential buyer because of scheduling conflicts…make your home EASY TO SHOW!